Benchmade 551-1 Griptilian with Gray G-10, CPM-20CV Black Blade. 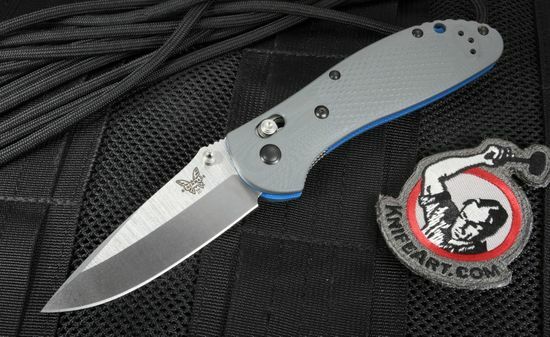 The Benchmade 551-1 Gray G10 Griptilian is a knife from Benchmade and the creative design of Mel Pardue. With a focus on function, the 551-1 is a folder that is comfortable to use in either hand, and the stainless steel construction makes it extremely resilient for even the most demanding users. 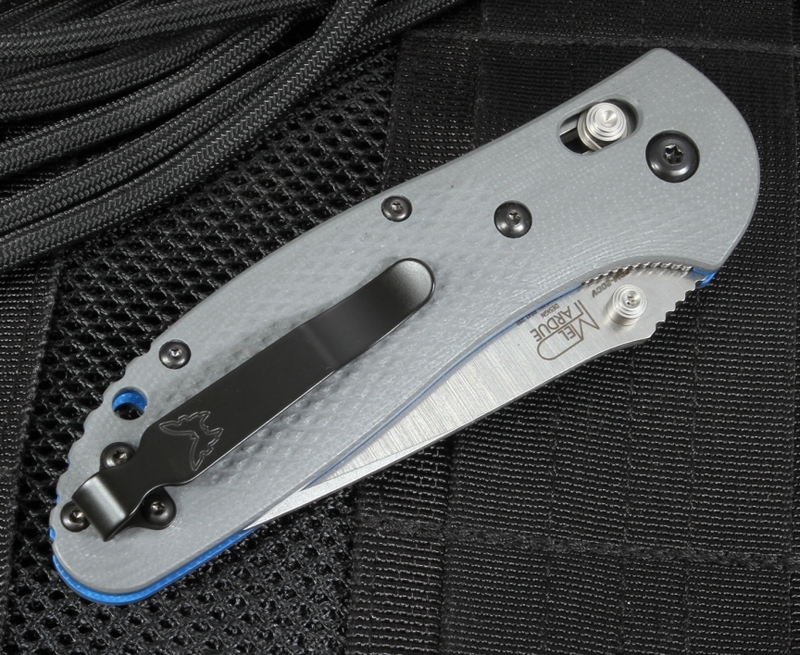 Specifically made for deep carrying and easy opening, the Griptillian is a must have. The blade has a beautiful drop point shape and is made from CPM-20CV stainless steel. This newer steel has better edge retention, but isn't difficult to resharpen if need be. 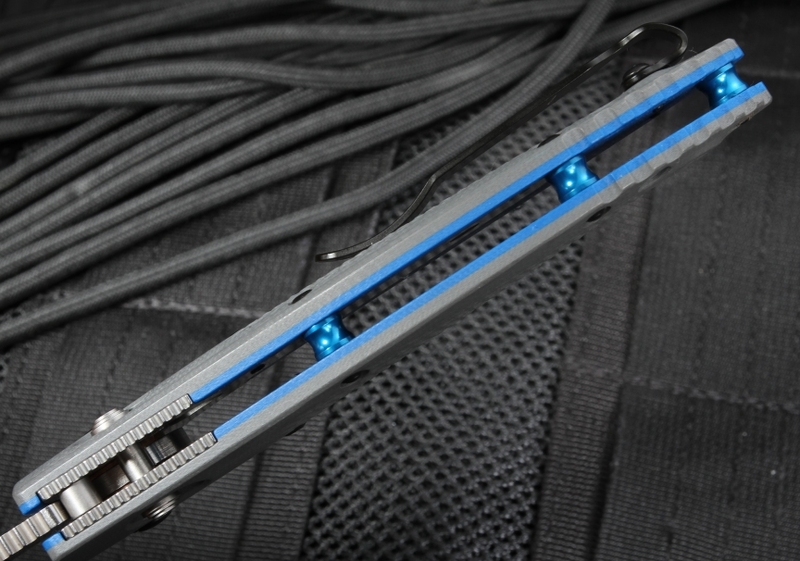 The blade is heat treated to a RC of 59-61 for edge retention. At 3.45 inches long, the blade is compact enough to be easy to carry but long enough to still be indispensable, whether for field use or just rugged camping trips. Additionally, it is 8.07 inches fully opened, leaving plenty of handle room for worry free use. The knife has an excellent blade to handle ratio, providing the user with a lot of blade in a compact carry package. Of course, the blade doesn't really matter if the knife isn't easy or comfortable to hold. Benchmade has this covered. The durable handle is grip textured to be both comfortable in the hand and resist slipping. 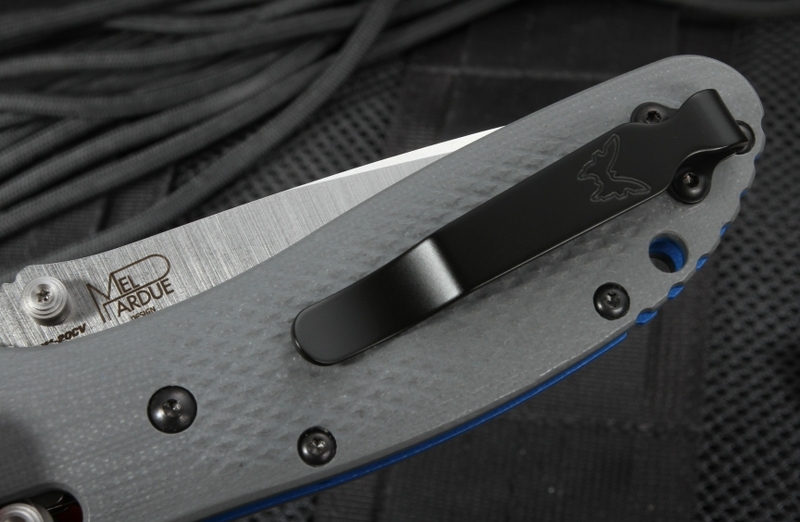 Covered in gray G10 scales with blue G10 accents, the handle combines form with function, all built around the AXIS locking mechanism. 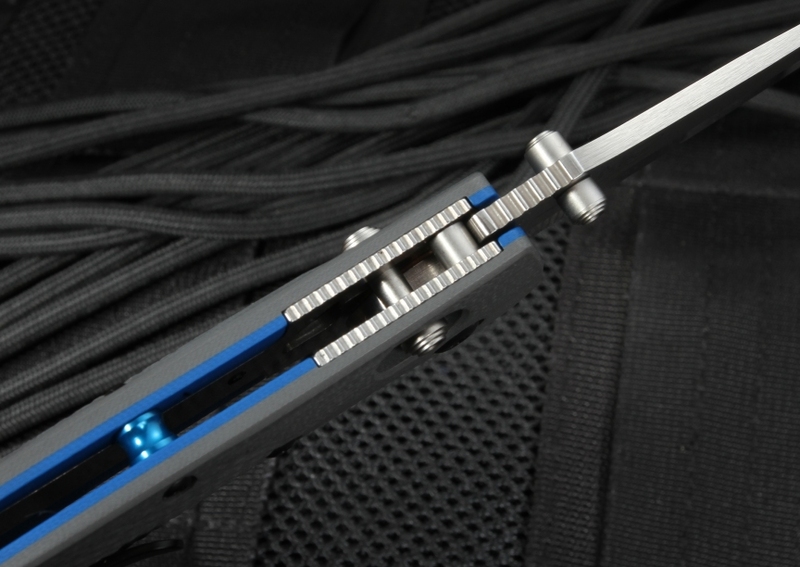 The knife also features blue anodized spacer barrels. Weighing in at only 4.17 ounces, it is very light in the hand without sacrificing strength. The griptilian folding knife has a reversible pocket clip that is designed for deep pocket carry, ready when you need it. Being one of our specially curated knives, we of course offer a satisfaction guarantee and free US shipping. We are an authorized dealer and happy to answer any further questions about this knife, or any of our others.